I’m just scraping in with Paula’s Thursday Special, Traces of the past. I took this photo because it made me smile. It’s in a local pub, a very old one, a real coaching inn that would have been just inside the city wall. You an join in here, thanks Paula it’s great to see you! These are the words of Sir Francis Drake, a sea captain and slave trader, he carried out the second circumnavigation of the world in 1577 – 1580. In 1588 he helped defeat the Spanish Armada, but only after he’d finished his game of bowls on Plymouth Hoe. His home in Devon, Buckland Abbey is owned by the National Trust. The Ship Inn pub is now sadly part of a chain but it still retains it’s character, who knows maybe Sir Francis still visits. This post is for Paula’s Thursday Special, Traces of the past, she has a beautiful photo of lake Bled this week. It’s Traces of the Past at Paula’s black and white Sunday this week, so I thought I’d bring this old weaving loom. I believe it’s from the early 1960’s. 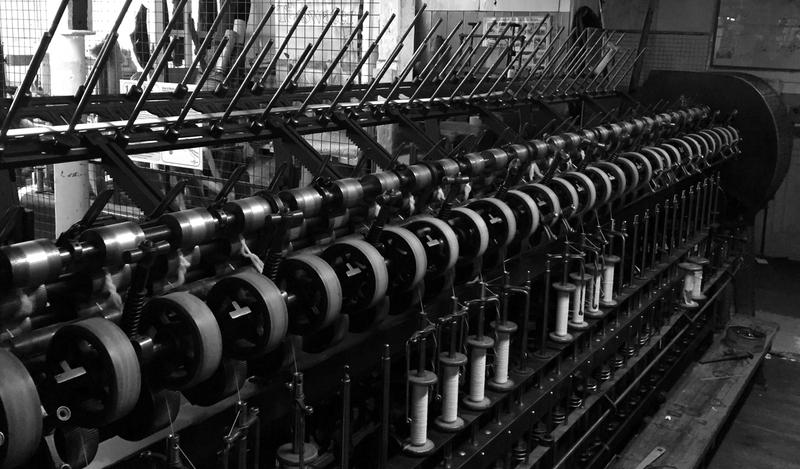 It can be seen at Coldharbour Mill, in Devon. Such a wearisome trade is the weavers. Anon, circa the Industrial Revolution. Many of my friends here in the UK will have come across a particular brand of notebook, journal or address book. They have beautiful covers, some vibrant, some more subtle, but most rather desirable. I have several, including this one. I couldn’t help thinking about it when I saw these at Montacute last weekend. I wonder if the manufacturer was influenced by something like these, what do you think, does the design of mine show traces from the past? For newbies – if you are interested in participating in Thursday’s Special photo challenge, you should publish a post with a photo (or several photos) having in mind the given theme (in this case anything related to the past either near or distant), link that post to this one and leave me a note in the comments section.